What are the risks of the illness compared to the known side effects of rubella vaccine? Cooper, L.Z., et al. “Transient arthritis after rubella vaccination.” Am J Dis Child 1969; 118:218-225. Spruance, S.L., et al. “Joint complications associated with derivatives of HPV-77 rubella virus vaccine.” American Journal of Diseases in Children 1971; 122:105-111. Swartz, T.A., et al. “Clinical manifestations, according to age, among females given HPV-77 duck rubella vaccine.” American Journal of Epidemiology 1971; 94:246-51. Weibel, R.E., et al. “Influence of age on clinical response to HPV-77 duck rubella vaccine.” J. of American Medical Association 1972; 222:805-807. Thompson, G.R., et al. “Intermittent arthritis following rubella vaccination: a three year follow-up.” American Journal of Diseases of Children 1973; 125:526-530. Chantler, J.K., et al. “Persistent rubella infection and rubella-associated arthritis.” Lancet (June 12, 1982):1323-1325. Tingle, A.J., et al. “Prolonged arthritis, viraemia, hypogamma-globulinaemia, and failed seroconversion following rubella immunisation.” Lancet 1984; 1:1475-1476. Tingle, A.J., et al. “Postpartum rubella immunization: association with development of prolonged arthritis, neurological sequelae, and chronic rubella viremia.” Journal of Infectious Diseases 1985; 152:606-612. Tingle, A.J., et al. “Rubella-associated arthritis. Comparative study of joint manifestations associated with natural rubella infection and RA 27/3 rubella immunisation.” Annals of the Rheumatic Diseases 1986; 45:110-114. Institute of Medicine. Adverse Effects of Pertussis and Rubella Vaccines. (Washington, DC: National Academy Press, 1991). Benjamin, C.M., et al. “Joint and limb symptoms in children after immunisation with measles, mumps, and rubella vaccine.” British Medical Journal 1992; 304:1075-78. 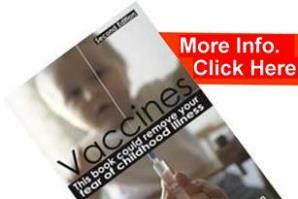 The Rubella Vaccine and Neurological Disorders: Kilroy, A.W., et al. “Two syndromes following rubella immunization.” Journal of the American Medical Association 1970; 214:2287-2292. Gilmarten, R.C., et al. “Rubella vaccine myeloradiculoneuritis.” Journal of Pediatrics 1972; 80:406-412. Schaffner, W., et al. “Polyneuropathy following rubella immunization: a follow-up study and review of the problem.” American Journal of Diseases of Children 1974; 127:684-688. Institute of Medicine. Adverse Effects of Pertussis and Rubella Vaccines. (Washington, DC: National Academy Press, 1991). Muhlebach-Sponer, M., et al. “Intrathecal rubella antibodies in an adolescent with Guillain-Barre syndrome after mumps-measles-rubella vaccination.” European Journal of Pediatrics 1994; 154:166. Menser, M., et al. “Rubella infection and diabetes mellitus.” Lancet (January 14, 1978), pp. 57-60. Rayfield, E.J., et al. “Rubella virus-induced diabetes in the hamster.” Diabetes (December 1986); 35:1278-1281. Ehrengut, W. “Central nervous system sequelae of immunization against measles, mumps, rubella and poliomyelitis.” Acta Paediatrica Japonica 1990; 32:8-11. Aubrey, J., et al. “Postpartum rubella immunization: association with development of prolonged arthritis, neurological sequelae, and chronic rubella viremia.” Journal of Infectious Diseases (September 1985); 152(3):606-612. Coulter, Harris. “Childhood vaccinations and Juvenile-Onset (Type-1) diabetes.” Congressional Testimony. Committee on Appropriations, subcommittee on Labor, Health and Human Services, Education, and Related Agencies. (April 16, 1997). Coyle, P.K., et al. “Rubella-specific immune complexes after congenital infection and vaccination.” Infection and Immunity (May 1982); 36(2):498-503. Numazaki, K., et al. “Infection of cultured human fetal pancreatic islet cells by rubella virus.” American Journal of Clinical Pathology 1989; 91:446-451. Tobi, M., et al. “Prolonged atypical illness associated with serological evidence of persistent Epstein-Barr virus infection.” Lancet 1982; 1:61-64. Bicker, U. “Some new aspects of autoimmunity.” Journal of Immuno-pharmacology 1986; 8:543-559. Allen, A.D. “Is RA27/3 rubella immunization a cause of Chronic Fatigue?” Medical Hypotheses 1988; 27:217-220. Lieberman, A.D. “The role of the rubella virus in the chronic fatigue syndrome.” Clinical Ecology 1991; 7(3):51-54. Clearly adverse reactions do happen however numerous studies showing adverse events do not necessarily show whether the vaccine problems outweigh the benefits. But as we have previously discussed, legitimate controlled trials set up to assess benefit versus risk are not undertaken, therefore we can only make an informed guess as to benefit versus risk…but that guess equally applies to drug companies and health authorities in their faith in the vaccine; vaccine promoters ‘guess’ that the benefit outweighs the disadvantage. However the main issue is whether rubella vaccine specifically reduces the incidence of congenital rubella syndrome (CRS) in the unborn child and in so doing does not of course replace or even increase the incidence of other birth defects, i.e. 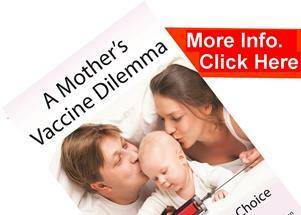 do the advantages of the vaccine outweigh the risks of the vaccine to the unborn child? The authority cited was a 1984 article by, among others, Walter Orenstein, a Director of the US National Immunisation Programme. His job was to promote vaccination. The 1964 recorded rubella incidence for Maryland, USA, was, for example, 1:1000 population as reported Maryland Department of Health, 3,583 cases of rubella during 1964. (http://edcp.org/html/rubella.html accessed 30 May 2005). A population of 3.9 million in 1970, increasing by 1/2 million every 10 years – provides estimated population 3.5 + million in 1964. The sub-group of CRS cases was typically 1:1000 of total rubella cases. The largest annual total of nationally reported cases of rubella in the United States was in 1969, when 57,681 cases were reported (58 cases per 100,000 population). At around 12,000 percent fewer cases than the figures Mr Floyd cites. A web search produces numerous webpages repeating the figures Mr Floyd cites, referring to 1964 as a ‘pandemic’ and attributing the Orenstein paper as their source.